In case you didn’t know, I love to bake. 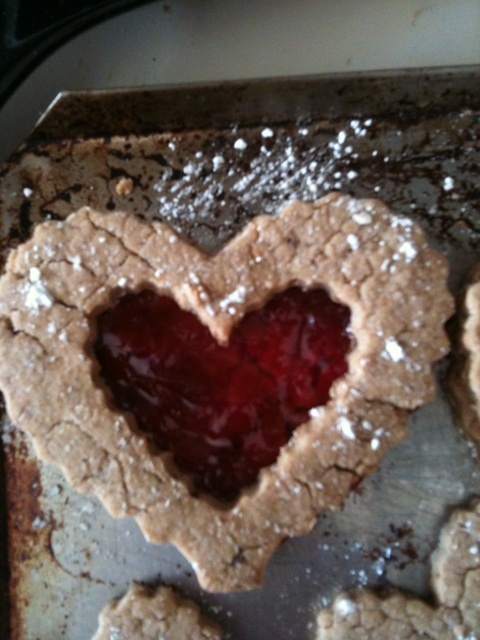 Love, love LOVE to bake. I bake cookies, brownies, shortbread, quick bread, cupcakes, cheesecakes…basically anything I can find a recipe for. Lately, I’ve been attempting to remodel my recipes so that they don’t include wheat flour or white sugar. I haven’t tried to bake anything using the new recipes, but I’ll let you know how it goes when I do. Most recently, I made some Double Chocolate Brownies with pistachios for the first Celtic’s Playoff game against LA (pistachios are green…like the Celtics…get it?). 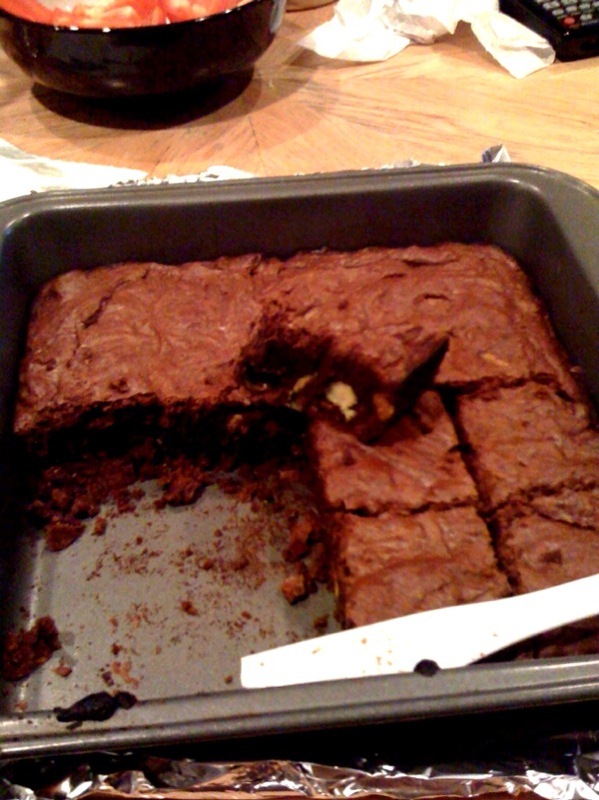 The Celtics lost (boo), but the brownies were chocolaty, dense and wonderful! Baked goods used to be my downfall: I would make a gorgeous batch of cookies on Saturday, pretend I wasn’t going to eat any, and then late Sunday night I would eat all the wounded soldier cookies left behind after the weekend. Recently, I’ve gotten much better at not eating the ENTIRE batch of whatever I make. 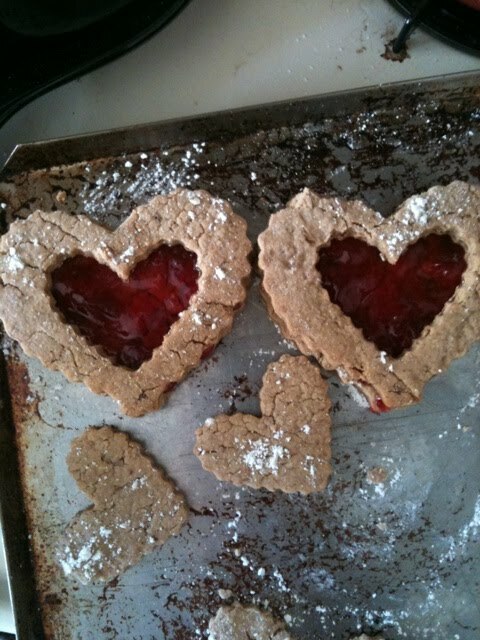 Now, I mostly make these baked goods for other people and have a small piece for myself. I’m now very aware of my sugary baked good craving, and I make sure to have plenty of quick, healthy snacks around whenever I decide to bake something. If found that my sugar craving comes out of convenience: whenever I want to eat a cookie, it’s usually because I’m hungry for a healthy meal, but the cookie is so much easier than taking the time to prepare something healthy (or so my twisted mind thinks). Does anyone else have a weakness for foods of the sugary, baked variety? Have you been listening to your cravings? Mmmmmm, if we lived in the same city, I would gladly take any and all of those baked goods off your hands!! I'm feeling the sweet tooth cravings. Except my thinking is: If I finish the whole batch/bag tonight, I will get it out of my house and won't eat this unhealthy snack anymore (which, of course, is beautifully flawed logic). Alas….Love your blog! !